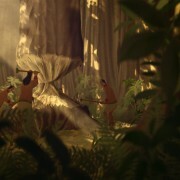 “Way of Giants” is an animated short film by director Alois Di Leo. 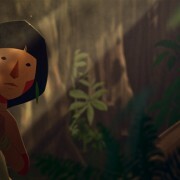 It is a poetical search for purpose and reason that follows the story of Oquirá, a six year old indigenous girl, as she confronts the cycle of life and the concept of destiny. 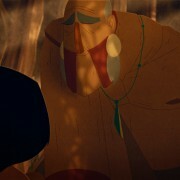 The film explores the forces in nature and our connection with the earth and its elements. 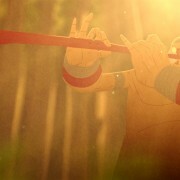 Music plays an important role in the story. 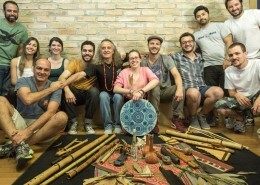 A master of ancient Andean music, Tito la Rosa, was brought from Peru to São Paulo to compose and record the score using handmade Inca and Andean instruments — most of which La Rosa and his son manufactured following Andean traditions. “Way of Giants” took two years to produce and was completed in March, 2016. 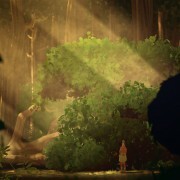 It was financed by Sinlogo Animation; a São Paulo government grant, “Prêmio estimulo 2014”; and a crowdfunding campaign that helped bring Tito La Rosa to Brasil. 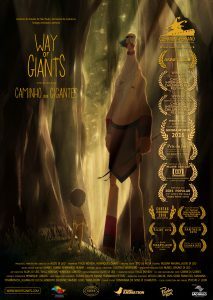 The film will premiere at the prestigious Annecy International Animation Film Festival as part of the Official Selection in June 2016.
http://wayofgiants.com/wp-content/uploads/2015/10/01.jpg 675 1200 Giants http://wayofgiants.com/wp-content/uploads/2015/10/Titlehorizontal70height.png Giants2015-10-11 23:59:272015-10-20 16:13:41Recording the music! 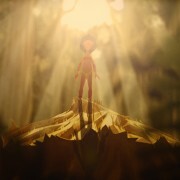 SINLOGO Animation is a creative studio that develop works focused in character design, illustration and animation. Since it was founded in 2005, SINLOGO has been in more than 70 international festivals including Cannes, London film festival, Hiroshima and Stuttgardt Animation Film Festival and created more than one hundred projects in São Paulo and around the world. We are simply passionate about animation. Alois Di Leo was born in Lima, Peru and raised in São Paulo, Brasil where he founded the animation studio SINLOGO. At the moment he is writing his first feature film.